This recipe was created in partnership with Imperfect Produce and featured first over here , but I couldn't resist sharing it with you all too. This year Imperfect produce is leading the campaign #newyearnewwaste and couldn't feel more honored to be inspiring others in a movement I believe so much in. There are so many simple ways to reduce waste. One way is using as many parts of a vegetable as possible. How many times have you used a butternut squash and then just tossed the seeds? I am so guilty of this. It is so, so easy to toss the seeds in oil, sprinkle a little salt, and roast that I don't know why I haven't been doing it forever. In this recipe I used the seeds to add some texture and interest to the soup, but if that's not your thing you can still roast the seeds and eat them straight up or use as a salad topping. Whichever way you decide to consume them, you'll still be reducing waste and that is a pretty freaking awesome thing. Preheat Oven to 350 degrees. Cut the butternut squash in half length-wise and scoop out the seeds. Set the seeds aside. Using a pastry brush spread the teaspoon of coconut oil onto the butternut squash halves and then sprinkle the butternut squash with the sea salt. 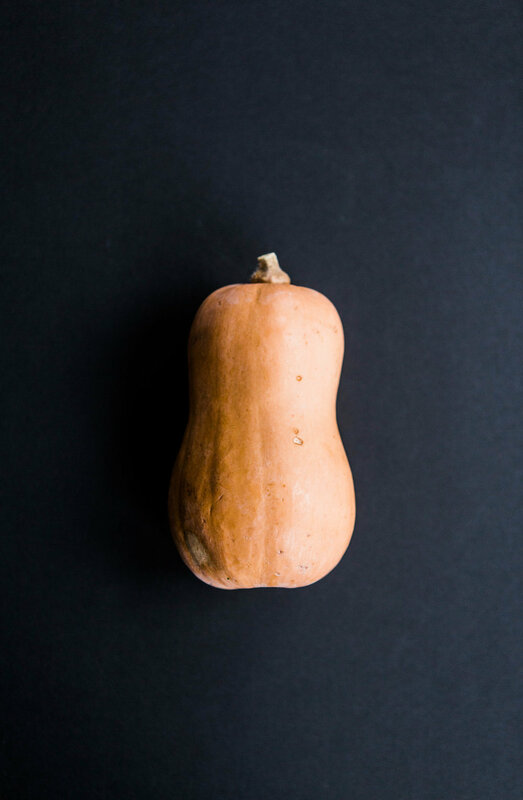 Place the butternut squash halves cut side down and bake in the oven for one hour or until you can carefully remove the skin with a fork. 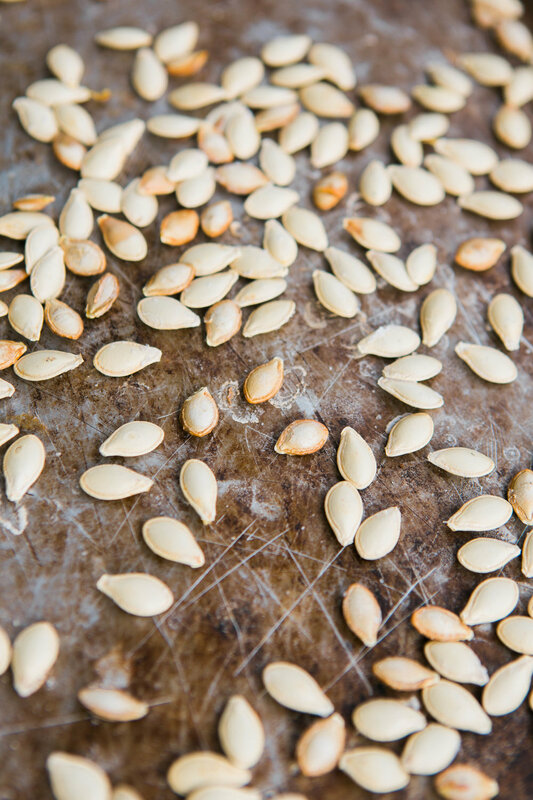 While the butternut squash is roasting, rinse the seeds. While you are rinsing remove any stringy squash pieces until all that remains are seeds. Transfer the seeds to a kitchen towel and pat dry. Place the seeds in a medium bowl and toss with 1/2 teaspoon of coconut oil and then sprinkle with salt. Spread out in an even layer on a baking sheet. Turn the oven down to 275 and allow the seeds to roast for 15 minutes or until they begin to pop. Once they are done, set aside. Transfer the butternut squash to a food processor and combine it with the coconut milk, turmeric, garlic, and salt. Once combined, transfer to a sauce pan and heat to your satisfaction. Serve in two soup bowls, top with the seeds and enjoy.